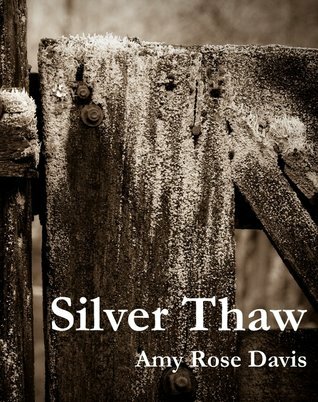 In a mining town filled with forgotten men and used up women, a handcuffed girl and her deaf guard arrive just as a blizzard descends. Lured by the girl’s singing and driven by an old obsession, one man releases an ancient spirit that could destroy the town and the estate it supports. As the year wears on, the murderous spirit tightens its grip on the town and the estate, living on an ever-rising wind that descends from the mountain. Brave and holy men seek to destroy the evil, but few return alive. Those who do return have few wits left. When others fail, a donkey handler named Clem must risk the simple, peaceful life he’s carved for himself to save it from destruction. Unfortunately, Clem knows that when the wind comes down the mountain, even the most steadfast men can’t resist its call. When I was introduced to Amy by a friend, I bought this book, intending to read it ‘sometime’. I am now very glad that I did so, and more so now that I have read it. This story is based on the myth of the siren, and is structured around the four seasons. It does not take long to read, being a novella, and the vivid imagery makes it a true pleasure. The words create the setting and the characters in such an unobtrusive way that one simply absorbs them as one follows the events depicted by them. I needed to put the book down several times – life intervenes – but each section drew me on to read more, until I had read the story through to its conclusion. What amazed me most was that the present is skilfully interwoven with the past to create a rich tapestry that consists of the many lives, seasons and emotions that run through the story. This is one tale that is very well-written – in terms of language and grammar, as well as creativity and imagery – and I wouldn’t hesitate to recommend it as an outstanding fantasy. What I loved was that the story made me imagine more about the world than was directly in the book, and ask questions about what the rest of this world looked, felt and smelt like. Like the song of the siren, this book will keep you turning the pages until the very end. It should be noted that this is a dark fantasy, so there are some… not so nice bits.